Juana Bordas is a long-time Denver leader, activist, and bestselling author. Her book The Power of Latino Leadership – Culture, Inclusion, and Contribution is the first comprehensive book on the subject and was published by Berrett-Koehler in 2013. It was released as an ebook in Spanish on September 2015 in celebration of Hispanic Heritage month and can be purchased on Amazon.com. With such a colorful array of fiesta loving, family-centered, and hard-working Latinos, one might wonder, what could possibly keep this sundry group together? Much like the Jewish community, Latinos are an ethnic or cultural group. They are connected by common values, a shared history, a revered spiritual tradition, and the Spanish language. Values such as generosity, honesty, working together, and extended family are the nucleus of the culture. The Latino love for diversity and inclusion can be found in their bienvenido (welcoming) spirit and the revered saying, mi casa es su casa. 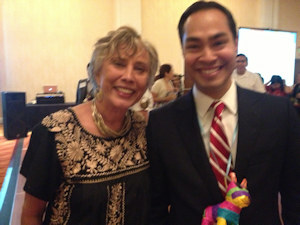 Inclusiveness is evident in the way Latinos embrace many generations. Latinos venerate age and experience. At the same time, young people are the promise of tomorrow. This approach is critical today because four generations are working together and an immense generation shift is occurring. The Millennials are the largest and most diverse generation in history. Leaders must prepare to pass the torch to a new generation of leaders. Latino inclusiveness can be found in the way they connect to their 24 countries of origin. For instance, Hispanic Heritage month starts September 15 to commemorate the independence of Costa Rica, El Salvador, Guatemala, Honduras, Nicaragua, México, Chile, and Belize all celebrate their independence during the week of September 15. As our global village evolves Latinos already embrace our multicultural and international world. Latinos are also an integrating force in the Western hemisphere – the bridge linking North, South, and Central America. This connection should not be underestimated. The size of the economy in Latin-America is as large as the France and United Kingdom combined, and almost three times larger than the economies of India or Canada. Our economic future is tied to Latin America. 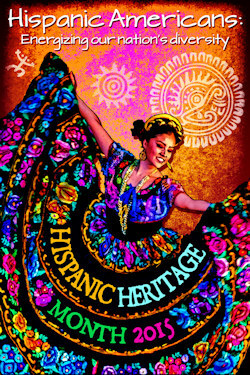 The end of Hispanic Heritage month also reflects Latino diversity. Many US Hispanics today do not celebrate Columbus Day as the “discovery” of America. After all, our Indigenous ancestors were already here. Latinos across our hemisphere celebrate the encounter of cultures and the birth of a new race on October 12 – El Dìa de La Raza. The term La Raza can be best translated as a new family of man and woman composed of the original inhabitants of the Americas, the Indians, and all other immigrants from throughout the world who since the time of Columbus have come to the new world in search of a new creation. If you are not a Latino by birth Hispanic Heritage month is an invitation to become part of the familia – to experience our dynamic culture. To tap your feet to the salsa beat and join with us in finding the common ground that unites us. Remember since Latinos are a culture and not a race – and culture is learned there is the potential to become Latino by affinity or corazón (heart). Today when the US congress is grid-locked and many corporate leaders continue to skim profits for those at the top. As we seek to heal a divided nation, Latinos hold the promise of a new American with diversity, generosity, people, familia, community and inclusiveness at its core. They invite people to look beyond race – beyond differences – to the cultural, spiritual, and historical bonds that hold us together. Hispanic Heritage is not just a one month celebration – it is ensuring prosperity and the common welfare for future generations! It is embracing and Energizing Our Nation’s Diversity. Just heard you chatting with Miguel wow you’re incredible . Luv ya . Your totality real! ……..